For every woman, it is important to find the perfect gown for their wedding. It is because it will forever be in the pictures and etched in the memories of those who will attend that one special day. It may seem hard to find the perfect dress. It can be overwhelming to choose among the many different types of gown. To make your search easier, the first thing that you need to do is to know your body type. From there, you will be able to search for styles that best complement your body. What are the different styles of wedding gowns? Here are some of them. This style is popular especially among women who dreams of becoming a princess and a fairytale like wedding. You can instantly distinguish it from other dress because of its full bell shape at the bottom and fitted bodice at the waist. Ballgown is okay for most body types but it most recommended with those who have a pear-shaped body because it hides the lower body. However, it’s not recommended for petite brides because it may swallow them up. If you have the curves or the hourglass figure, then this style might be the one for you. It hugs the curves from the chest to the knee and flares out below it. This style is not advisable for apple and plus size body types. Also, if you are the type of bride who moves a lot then you might find this style too constricting. It is probably one of the most popular silhouettes among brides because this style is good for all body types and very easy to wear. This style is narrow at the top and flares out to the rest of the body to form the shape of letter A. It also comes with a modified version where the skirt is much closer to the body. Now this is another option for curvy brides. It’s kind of a mix between the mermaid and modified A-Line cut. It is fitted through the body and then flairs mid-thigh forming a trumpet shape. Since this style emphasizes the stomach and hip area, it is not recommended for women who have apple and pear sized body type. Sometimes this style is also referred to as the Column. If you are petite or if you have lean figure, then this might be the style that you are looking for. It follows the body’s natural line so it flows straight down from the neckline to the hem. Its design gives off that modern air. If you have a pear-shaped body, this style is not recommended for you because it can be unflattering to your figure. This style is perfect for modern brides who still want to feel elegant even without the long skirts. If you will marry during the day or in a less formal ceremony, then you might consider trying out this type of dress. It’s good for almost all body types except plus sizes. 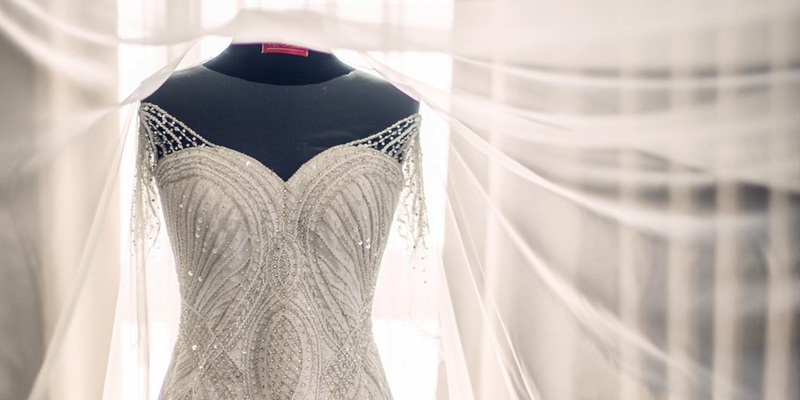 If you are confused with the different styles of wedding gowns, we at Mel Orlina Couture will listen to your ideas and focus on you, the bride-to-be, to create your dream wedding gown. You can check out our brides on this link: https://melorlinacouture.com//brides/.